This for the fact that I’ve already seen some of his amazing looks specifically on Pilipinas Men’s Fashion Week Fall/Winter 2014 and its special edition Pilipinas Men’s Fashion Week ALL-IN last September 2014. I can very well remember those sharp, well-tailored and contemporary suits on the runway, his collection was among, to be honest, the stand-out and a personal favorite during that season. His participation in Project Runway Philippines explains why he’s missing from Pilipinas Men’s Fashion Week S/S 2015 show last January. 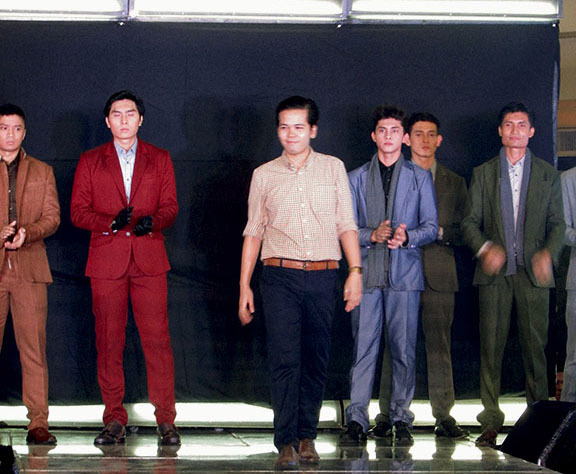 His first challenge look for Project Runway Philippines clearly shows his exceptional menswear discipline and at the same time an interesting creativity that pushes the envelope. His broad background in fashion, not just in designing, but from styling, merchandising, production and packaging makes him a huge contender in this season of Project Runway Philippines. 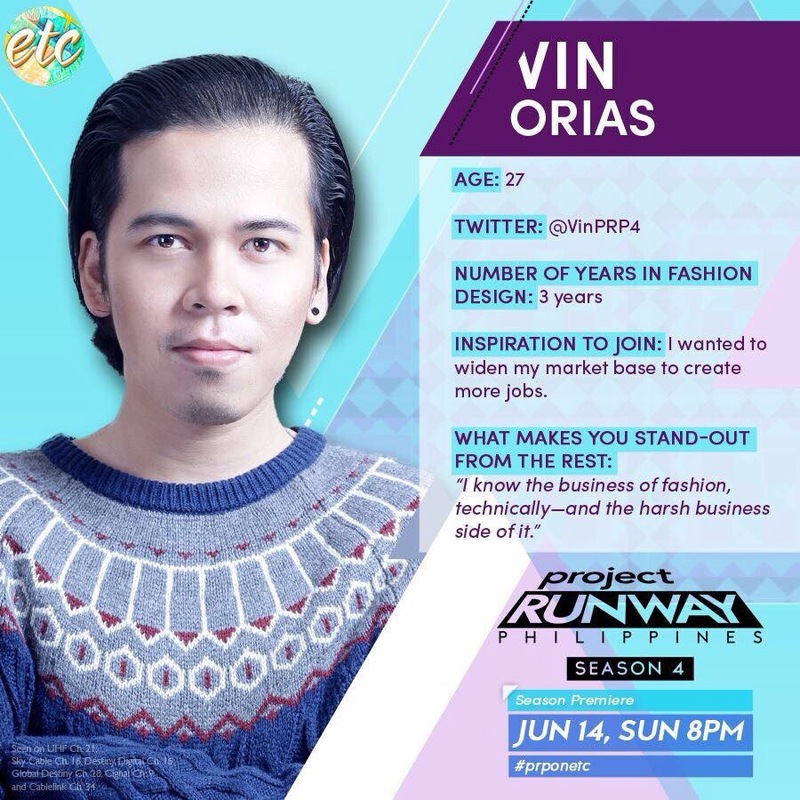 Get to know more by tweeting and interacting with Vin @VinPRP4 and using the official hashtag #prponetc! I met sir Vin Orias once and saw some of his designs. I like his aesthetics. And He is so kind and still down to earth even though he already starting to make his name. I’m rooting for him and other alumni’s from FIP. 🙂 Can’t wait for June 14! I wear #VinOrias! He made me a sharp and perfectly fit suite!